Kacey Musgraves (born August 21, 1988) is an American country artist from Golden, Texas. Kacey began singing publicly at 8-years-old and wrote her first song at 9-years-old. With a self-released album under her belt, she moved to Austin in 2008, where she was discovered by independent record label Triple Pop, for whom she recorded two songs, Apologize and See You Again. In 2012, she signed with Mercury Records and released her solo debut single Merry Go 'Round. The song is included on her album "Same Trailer Different Park", which was produced and co-written by Shane McAnally and Luke Laird and released on March 19, 2013. After being nominated for Best New Artist, Best Country Album, and Best Country Song at the 2014 Grammy Awards, the album won the Academy of Country Music award for album of the year. In June, she released the single The Trailer Song. To date, that talent has produced cuts for multi-platinum artists such as Martina McBride and Miranda Lambert. Miranda’s current album includes Kacey’s co-written track “Mama’s Broken Heart” which Rolling Stone Magazine ranked #26 in their “50 Best Singles of 2011” list. Musical influences range from Loretta Lynn and John Prine to bands like Cake and The Beach Boys. Kacey was honored to open for Willie Nelson last year and recently wrapped opening for Lady Antebellum in Europe and Alison Krauss in the US. 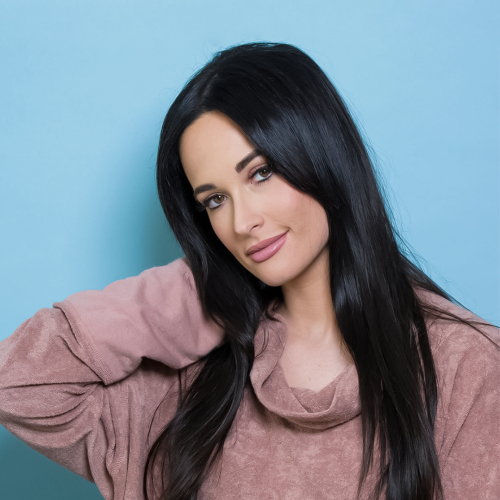 Visit www.kaceymusgraves.com for more information and upcoming tour dates.